We just had Kid #3’s second birthday party. She had a blast, and as the third kid of four, it was fun to be able to spoil her—especially since she became a big sister about three months ago, and her life was turned upside down. At two years old, she doesn’t have many “real friends.” What she mostly has are kids of families my husband and I are friends with, who we hope she’ll grow close to over the years. As a result, the party was full of people I love being around—people who were friendly to each other, asked about my life, didn’t hesitate to jump up and help the party run smoothly as we catered to the needs of 13 little kids. As we left the party, a soul-warming thought rang through my head. Over nearly seven years of parenthood, we have collected some truly stellar friends. But that’s the thing—it took nearly seven years. The beginning of motherhood can potentially be lonely and isolating, especially if you are either early or late to the having-kids part of life compared with your social circle. Then, you might meet new people, but it can be hard to form real friendships. But it can’t just be a haphazard thing. I don’t think you just happen to fall into friendships. I think you first need to put yourself in situations where you can meet new people, and then, if you meet someone you click with, make an intentional effort to spend time together. As I take inventory of my current closest friends, they came into my life in a variety of ways. Your partner’s buddies, cousins, and work colleagues might be married to women you really click with. In fact, our kids’ first babysitter was the wife of one of my husband’s work colleagues. My husband’s thought process was, “She is really nice, and she’s a stay-at-home mom. Maybe she’d babysit our daughter.” Seven years later, she is one of my closest friends. Try double dates, getting families together for a cookout, or accompanying your husband to work functions to meet potential new friends. Kid #3 was born during an apparent baby boom. Tons of people I knew were having babies around that time, but most of them didn’t know each other. I invited several of these moms and their babies to my house for a playgroup one morning, and a couple of the moms really hit it off together. Now, they’re friends in their own right! Don’t be shy about asking your friends to introduce you to any of their other friends you might get along with, accepting invitations to birthday parties or other social gatherings, or orchestrating your own social events where you tell your friends to bring another friend along. This is true social networking. I worked in direct sales for about four years. A lot of people think of direct sales as “asking your friends to buy things.” But a hidden benefit of direct sales is the new relationships you form. I met new friends from training events, team meetings, and general networking of fellow direct sellers. I met new friends through the parties my friends would host for me, vendor events, and even through my website contact form. If you’re looking to be thrown into new social circles, direct sales is an awesome way in! I work outside of the home at a university, and some of my closest new friends have come through work. 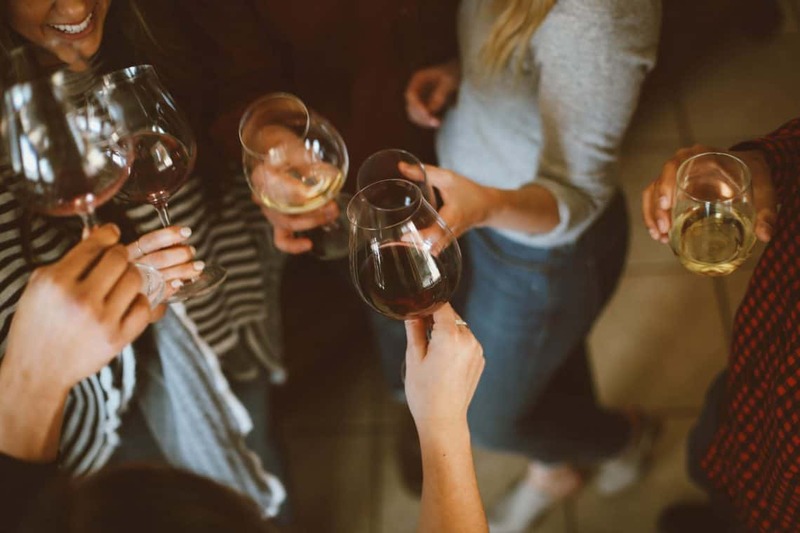 Yes, I made friends with the women in my office, but friendships have emerged through other connections. For example, someone who worked in a different part of the university responded to an email telling me that she was going on maternity leave soon. I wrote back, “I’m going on maternity leave soon, too! When are you due?” and we started a conversation (and eventually got our two babies together for a tiny baby playdate!). Another friendship formed when a work colleague got off the phone with a woman from another department, told me how much I had in common with her, and suggested we chat. 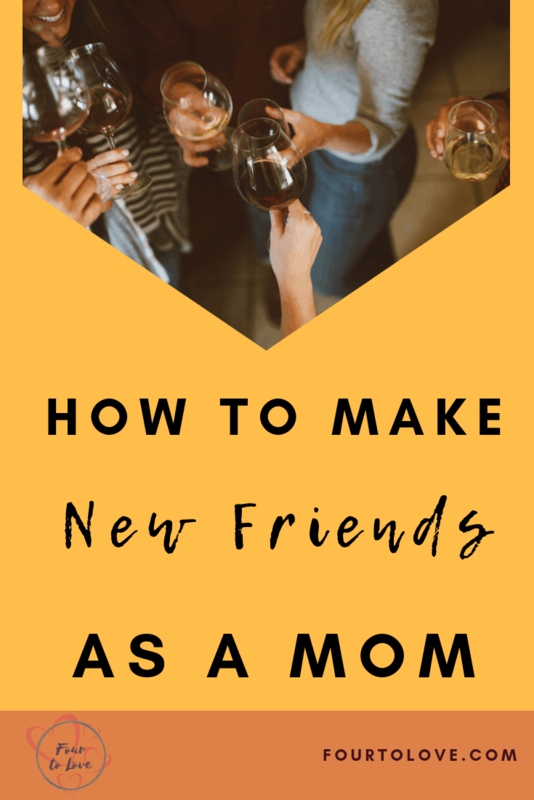 If you are seeing a mom week after week at preschool dropoff or swim lessons, introduce yourself! One of the nicest aspects of this way of meeting friends is that the kids should already know each other. This makes playdates a breeze. I lucked out when I met a mom that had one child in my daughter’s kindergarten class and another in my son’s preschool class. We got together so the kids could play, but now we are buddies, too! The list doesn’t stop there. The bottom line is, potential friends are waiting around every corner. As long as you are putting yourself in situations where you can meet new people, you can find new friends. The key is not to let these opportunities pass you by. Exchange contact information, connect on social media, and try to get a social engagement on the calendar as quickly as you can. And then again, and then again… because even if friendships form overnight, they take time to solidify.